To celebrate Christmas at Biltmore, we deck the halls of America’s Largest Home®, place thousands of twinkling lights in Antler Hill Village, and turn the ceiling of our Winery into a dazzling burst of ornamental bubbles that resemble a glass of sparkling wine. And then there’s the gingerbread. 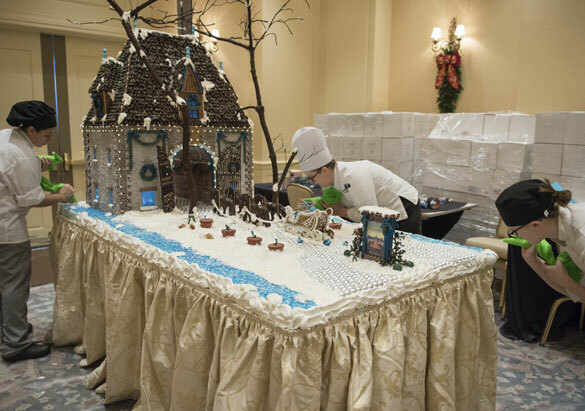 Each year, The Inn on Biltmore Estate™ constructs a spectacular scene out of gingerbread, carefully crafting all the delicious details with a sampler of sweets including frosting, candies, cookies, and more. 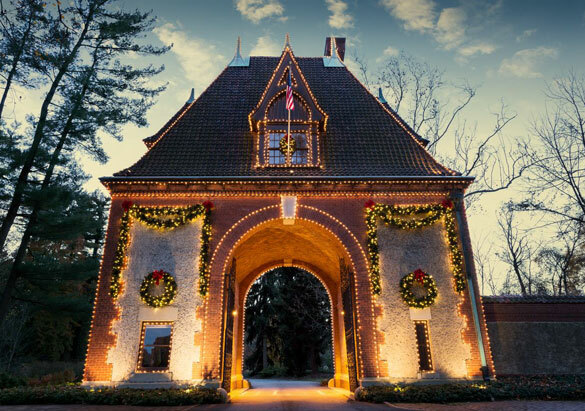 This year’s building project is a replica of the Lodge Gate—one of the first historic buildings you’ll see when you arrive at Biltmore. Serving as the estate’s main entrance, the impressive structure was designed by Richard Morris Hunt, the same architect who designed Biltmore House. It features a wide two-story arch that guests have been driving through for more than a century. For 2018, Chef McFarland and her team set their sights on the Lodge Gate. From the steep tiled roof and distinctive brick and stucco exterior to the iconic arch, this glorious gingerbread creation was a labor of love that tested their engineering abilities. 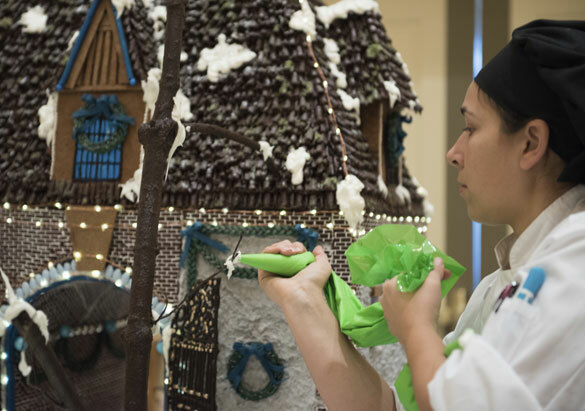 Work began the week after Thanksgiving, with pastry team members* spending a combined 150 hours to bake, assemble, and decorate their holiday masterpiece. “Our shopping list for ingredients was a little overwhelming,” Chef McFarland admits. • Powdered sugar: 200 lbs. • Foiled chocolate balls: 35 lbs. • Rolled wafer cookies: 30 lbs. • Rock candy: 15 lbs. • Jordan almonds: 2 lbs. Look for charming touches like these BFFs (Best Frosting Friends)! 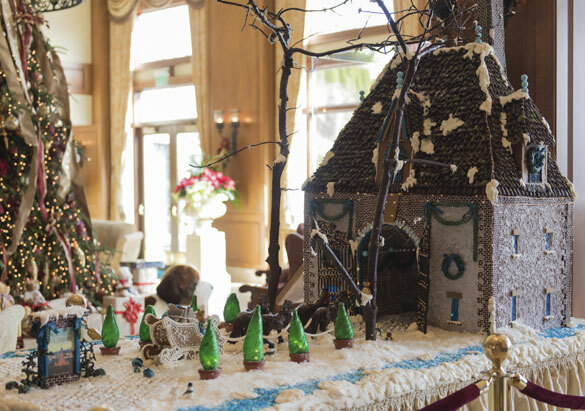 On display now through January 7, 2019, The Inn’s gingerbread Lodge Gate is a feast for the eyes and the nose. 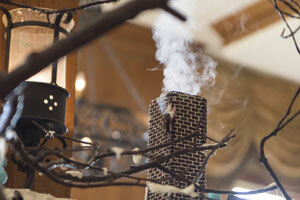 “In addition to the spicy fragrance of ginger and the sweetness of all the candy decorations, we placed a cinnamon-scented infuser inside the structure,” said Chef McFarland. 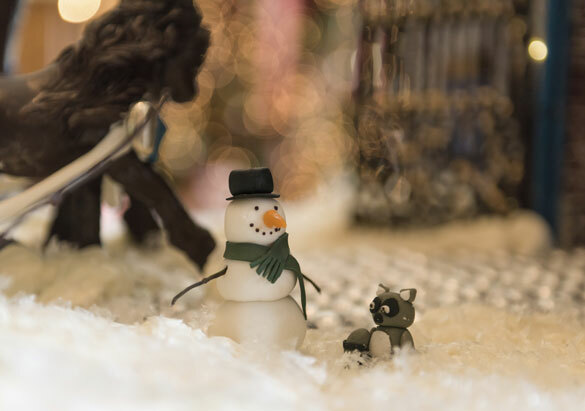 Join us for a Gingerbread Tea at The Inn—a time-honored tradition that offers fun for all ages! 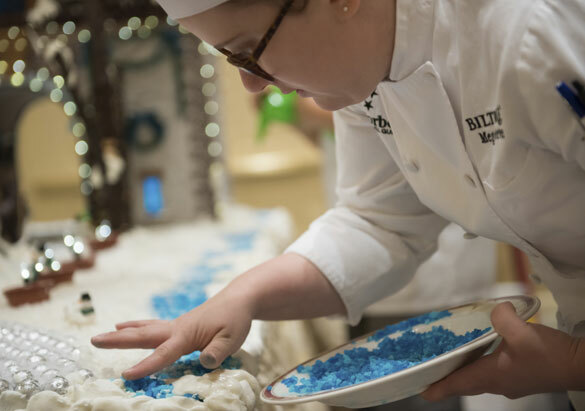 The Inn's pastry chef will be on hand to assist you as you decorate your house with a selection of colorful candies. Also available, assorted tea sandwiches and desserts from our Holiday Tea menu, and for an additional charge, seasonal cocktails. Find complete details and make reservations now for December 15, 16, 19, 20, 21, or 22 by calling 866-336-1245. Such a rockstar team! You all are amazing!